South Korea's four opposition parties Tuesday decided to request National Assembly Speaker Chung Sye-kyun exercise his authority to directly call a vote on a bill to arrange an extended special investigation into a scandal involving President Park Geun-hye. 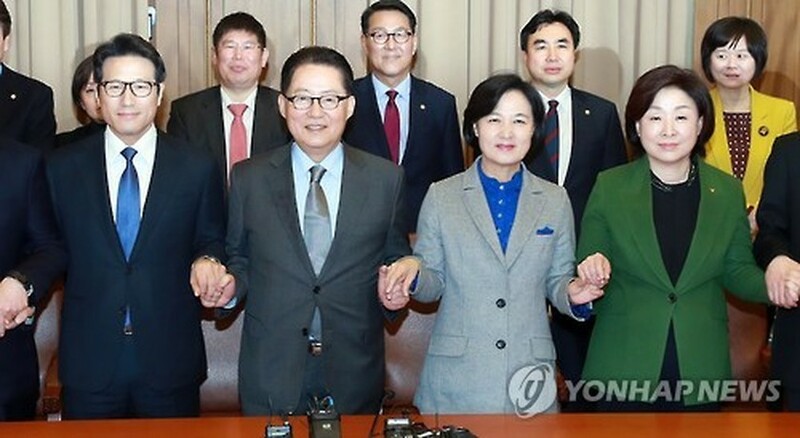 The chiefs and floor leaders of the Democratic Party, People's Party, Bareun Party and Justice Party reached the agreement during their talks one day after Acting President and Prime Minister Hwang Kyo-ahn refused to extend the term of the independent counsel looking into the corruption allegations surrounding Park and her associates. The independent counsel team is set to end its 70-day probe later Tuesday. "We decided to make the request to the speaker so that the bill can be handled at a plenary session Thursday," said Rep. Youn Kwan-suk, the spokesman of the Democratic Party. The party leaders also discussed whether to push for an impeachment of Hwang for rejecting the extension. All the opposition parties except Bareun agreed Monday to try to oust him. They together hold 166 seats in the 300-seat National Assembly, exceeding the minimum vote needed to impeach the prime minister. Bareun is opposed to the move, citing legal issues. According to the Yonhap said this morning.